ROANOKE, W.Va. – Owners of trophy bucks and fish displays may apply for an opportunity to showcase them during West Virginia’s Celebration of National Hunting and Fishing Day Sept. 17–18, 2016, at Stonewall Resort State Park in Lewis County. 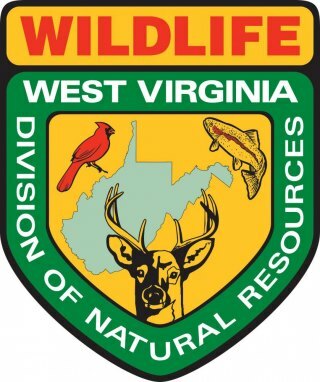 The West Virginia Wildlife Federation, the West Virginia Division of Natural Resources (DNR) and Toyota are seeking hunters who own trophy white-tailed bucks that were legally taken in West Virginia with either bow or gun and have a Pope & Young or Boone and Crockett score of 140 or greater. They are also seeking fish that qualified for a trophy fish citation under the DNR guidelines. “Each year, the displays are a tremendous draw at the Hunting and Fishing Day celebration, attracting thousands of visitors during the two-day event,” said DNR Wildlife Biologist Rob Silvester, who will work with fellow Wildlife Biologist James Walker to review the entries and set up the displays. Participation for trophy bucks will be limited to the first 30 qualifying trophy entries received. As an incentive for participation, hunters who display their trophy deer will be entered into exclusive prize drawings. Participation for trophy fish will be limited to 25 qualifying trophy entries to be determined by the selection committee. No more than five entries of any species will be accepted. As an incentive for participation, each angler who displays his or her trophy fish mount will be eligible to win one of several gift certificates. Prizes will be picked randomly. Interested hunters and anglers who have qualifying mounts should contact display organizer James Walker for fish or Rob Silvester for bucks at 304-924-6211 between 9 a.m. and 4 p.m. or email James.A.Walker@wv.gov or Rob.A.Silvester@wv.gov for additional information.